Kelly Williams-Bolar has been released. Black America Web is reporting that jailed Ohio mother Kelley Williams-Bolar has been released from jail, one day before the completion of her sentence. Williams-Bolar was convicted on charges she tampered with records so that her daughters could attend a school in a better district. 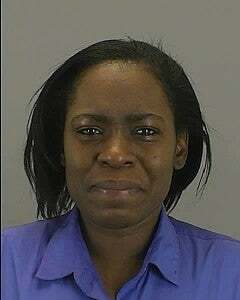 Judge Patricia Cosgrove of the Court of Common Pleas ordered Williams-Bolar to the Summit County jail in a sentence that began on Jan. 18, according to court documents reviewed by BlackAmericaWeb.com. The judge allowed the 40-year-old Williams-Bolar to be released a day early, said the Rev. Lorenzo Glenn, an Akron minister who has been assisting the family. Williams-Bolar has to fulfill other requirements of her penalty, including performing 80 hours of community service. She will be under court supervision for two years as a result of the Jan. 15 jury verdict. How generous, letting Williams-Bolar out a day early. She should not have served one day in jail. Separating a single mother from her children for 10 days did what, exactly? Traumatize a woman and her children, inconvenience an old man (Williams-Bolar's father), cost the taxpayers money and make the prosecutor's office and Akron court system look like they're run by a bunch of imbeciles. In other news: Hip-Hop Republican: Giffords Should Resign Her Seat.